Strong boxes have been in use for centuries, modern safes have been in use only since the 19th century. 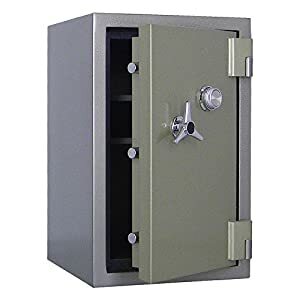 The modern safe is basically a strong box that has an impregnable body, a strong tamper-proof locking mechanism, and various locking mechanism types to open and close the door. There are two basic safe types, the floor safe and the mounted safely. A floor safe can be as small as a shoe box or the size of a building. A wall safe is usually smaller by design and places within a wall recess for hiding behind another object. Do not confuse a strong box with a safe, the main difference between the two is that safe should not be moveable, the moment a safe is moveable and is of a weight that is easy to carry, it becomes a strong box and not a safe. Fire-resistant safes have added insulation that protects the contents for a limited period of time, based on the safe’s configuration. The maximum internal heat must not go over 350 °F (177 °C), and the time limit cannot take longer than four hours. This means that the top of the line fire resistant heaters will be able to handle fires in excess of 1,850 °F while protecting the contents from this heat for up to four hours. Within the fire-resistant safe category are two sub-categories; documented safes and data safes. The main difference between the two is the internal temperatures that either will allow. These safes are installed on a concrete floor, and in most cases are very resistant to fire. In regard to flooding, not all floor safes are waterproof, and as such, it is advisable to secure all perishable contents (bills and papers) in sealed plastic bags or containers. Wall safes are designed for hidden protection and are usually only big enough for documents and small valuables. Wall safes vary in size and come with fire-resistance in most cases. 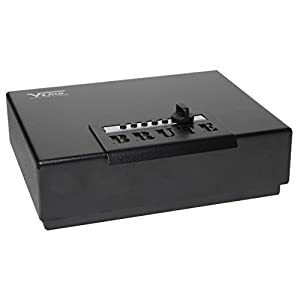 Walls safes are also the category where you will find hidden drawer safes, safes big enough to fit in an office (home or at work) desk drawer. These are used to hold money, documents, and weapons. 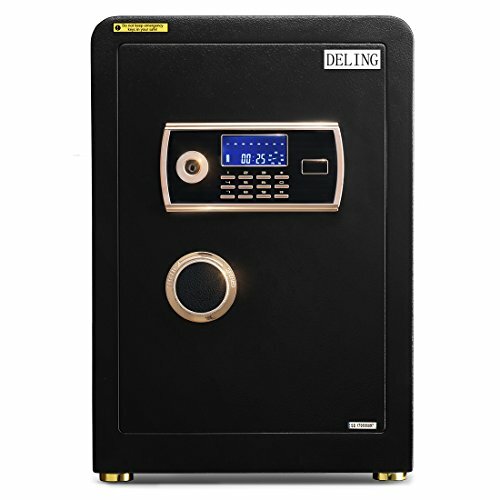 Class TL-30 is classified as safes that have a combination lock and can resist mechanical and electrical tools for up to 30 minutes. The types of tools that the safe must be resistant to are mechanical or electric tools, grinding points, picking tools, hand tools, carbide drills, cutting wheels and power saws. Class TL-40 is classified as safes that have a combination lock and can resist mechanical and electrical tools for up to 40 minutes. The types of tools that the safe must be resistant too are mechanical or electric tools, grinding points, picking tools, hand tools, carbide drills, cutting wheels and power saws. 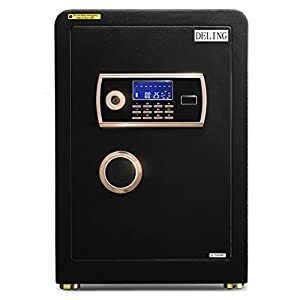 Class TRTL-30 is classified as safes that have a combination lock and provide and can resist mechanical and electrical tools for up to 30 minutes. The types of tools that the safe must be resistant too are mechanical or electric tools, grinding points, picking tools, hand tools, carbide drills, cutting wheels and power saws, impact tools and must also withstand oxy-fuel welding and cutting torch. 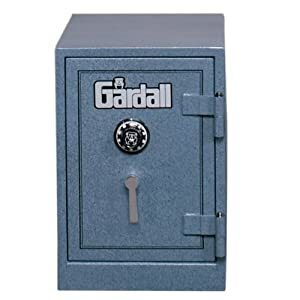 Class TRTL-60 is classified as safes that have a combination lock and provide and can resist mechanical and electrical tools for up to 60 minutes. Class TXTL-60 is classified as safes that have a combination lock and provide and can resist mechanical and electrical tools for up to 60 minutes. It can also withstand high explosives such as nitroglycerin of no more than 4 ounces (110 g) of nitroglycerin in one charge. Safes are not just boxes of steel or any other strong, impervious meta. They are a combination of technology, electro-mechanical stability, and durability. 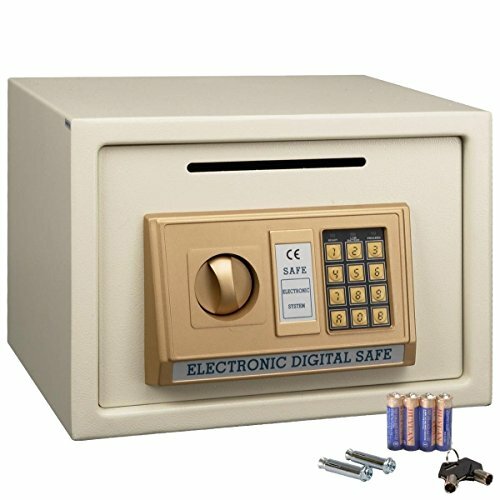 The safe’s I review and present here all meet UL standards. Before you go and buy a safe, let me partake of some experience, gathered over 40 years in the field of security. 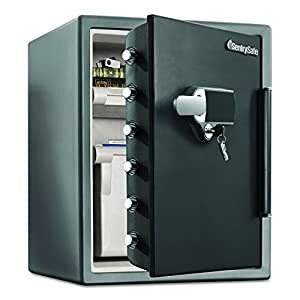 I have added a bonus at the bottom of this review, tips before buying a safe. I suggest you take a look at this too before you decide which safe to focus on. ASP claims this safe is the world’s most unique gun safe, and I can safely say that it is different and well-constructed. This is a unique gun safe, which makes it an excellent choice for securing your collection. This unit comes with a ½” Thick Steel Plate Door and a Three-Way Bolt Work. The body is 2” thick and the BFHD gas an additional 4ga inner barrier. This is a UL 1037 classified safe. For installation, it includes 12 1½” bolts with 4 anchor holes. The safe is designed with Intertek Verified Fire Rating (120-Minute) and boasts a Dual Door Seals to Protect Against Fire and Smoke. On a personal note, this is a very good safe to own when you have a number of weapons that need securing. I strongly suggest this safe and the company that stands behind it. This fire protection safe stand behind their claims. This is a UL classified 2-hour fire and impact safe with retardation of up to 350°F. This safe will withstand 1850°F for two hours and a 30-foot drop. It comes with a 3½” thick recessed door, and a 5/8″ thick front for withstanding pry attempts. The handle has 7/8″ diameter solid steel chrome plated locking rods, so you get a secure and smooth action. The body comes with rubber feet to secure it on any surface. This safe also comes in a variety of colors and can fit in any room snugly. It has a Group II UL changeable combination lock that provides up to a million combinations. 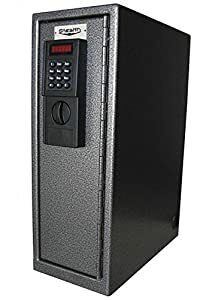 On a personal note, this is another great product form the house of ASP and it’s always better to have a fire resistant safe for document storage. I strongly suggest this safe and the company that stands behind it. This Steelwater safe is a UL classified 2-hour fire and impact safe with retardation of up to 350°F. This safe will withstand 1850°F for two hours and a 30-foot drop. The lock is a pre-set four-wheel non-changeable combination dial and key lock. The unit contains a 1 1/2″ deep Removable tray and an extra adjustable shelf. The base comes with a 1/2″ diameter anchor holes and has a stationary rectangular locking bolts on the hinge Side. On a personal note, Steelwater safes are a great American company that fabricates amazing products. These are sturdy and reliable safes and well worth the investment. This Steelwater safe is a UL classified 2-hour fire and impact safe with retardation of up to 350°F and can withstand 2 hours of fire at 1850°F. It comes with a Korean group II key changeable combination dial and their Vision guard lock. The safe comes with a 1 ¼” chrome plated active locking bolt with a glass re-locker. The door is secured on two heavy duty hinges and the inside there are 2 adjustable shelves. 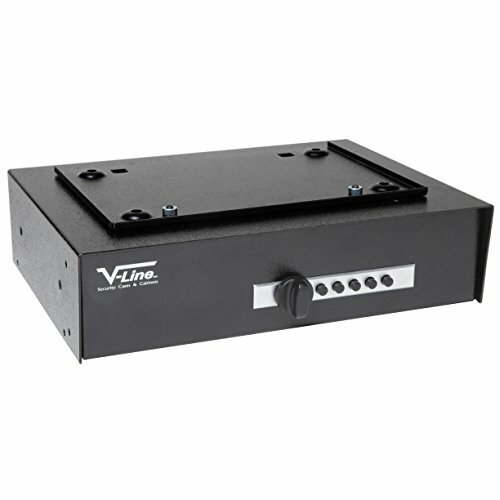 For installation, this safe comes with a 1/2” diameter anchor holes in the base. On a personal note, this is another Steelwater safe that meets the brief, they are a great American company that fabricates amazing products. 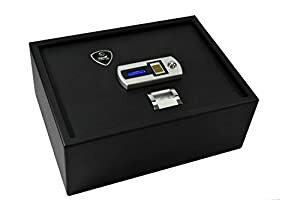 These are sturdy and reliable safes and well worth the investment. 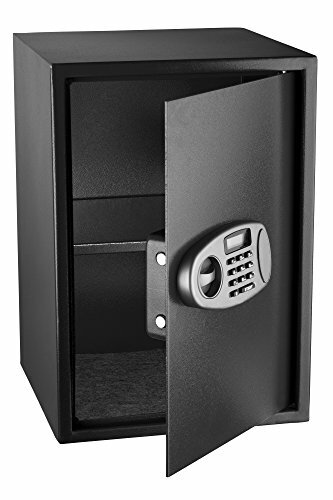 This safe has an extra biometric security feature that is part of the Zvetco product development unit. 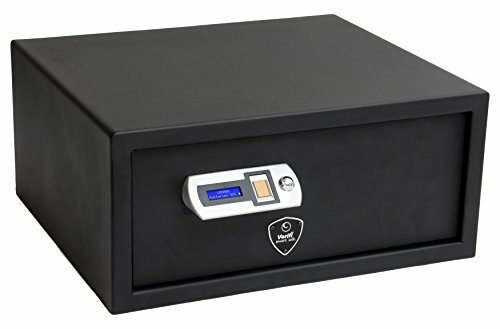 This safe uses an FBI certified silicon-based fingerprint sensor, which makes it more versatile and efficient when reading a scanned fingerprint. 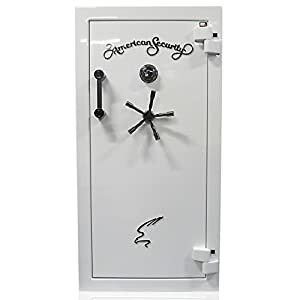 This safe comes with a 14ga 2mm wall and a 14ga 4 mm door. The software will allow you to store up to 40 individual fingerprints or 10 individuals with 4 fingerprints each. On a personal note, Zvetco specializes in biometrics, so it was only a matter of time when they would introduce their own safe. I strongly recommend this safe if you want a truly secure locking mechanism. This safe will withstand 1850°F for two hours. 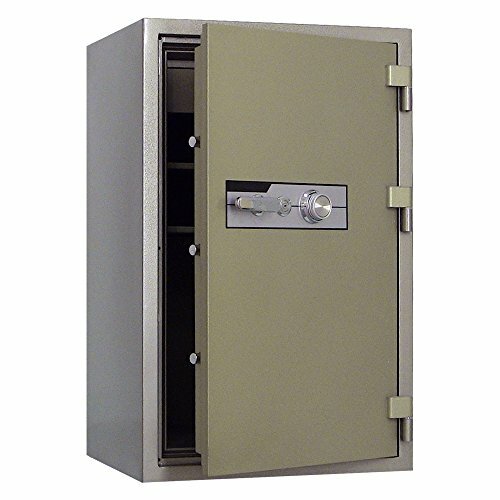 This safe comes with a 41⁄4” recessed anti-pry door and 21⁄2” thick safe walls. The door has five active bolts that lock in 3 directions and has 1” diameter bolts that extend into the body of the safe. The interior is covered in plush suede for comfort and for a non-scratch environment for jewelry. This is a UL listed Group II high-security lock and comes with either a mechanical or electronic locking mechanism. The chrome plated handle comes with shear points to prevent an attack via the handle. It also comes with an independent re-locker and hard-plate preventing drilling attacks. This is a digital alarm lock type with UL classification for Fire, Water, and general home Security. The locking mechanism relies on 6 x 1” bolts, and emits a sound when detecting prying, moving, and tampering. This model comes with interior lighting and a removable tray. It is ergonomically designed for handling extreme situations, so I can honestly recommend this safe and the manufacturer. On a personal note, Sentry Alarm systems produce some standard office and home safes, they are sturdy and long lasting. If you want a standard safe with no frills, then this is the one for you. 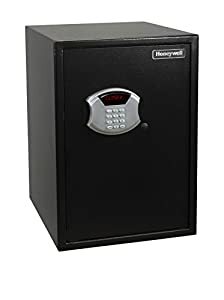 This is a large safe and can handle a lot of capacity. It has a Korean key (group II) with a changeable combination dial and their vision guard lock. This unit comes with a drawer that also has a lock, albeit a key, and is located at the top of the unit. The 1000V comes with 5 x 1” chrome plated locking bolts and 3 x 1” inactive locking bolts on the hinge side. The unit comes with a 1/2” anchor hole, and a chrome plated handle. On a personal note, this is another Steelwater winner, and this one is especially well designed and good for larger spaces. I like the extra locked compartment, and this one is actually in an office downtown where employees need to access it for confidential written reports. So the valuables are kept in the upper compartment, out of their reach. This unit comes with 2 anchor holes in the base so you can secure it to any surface. 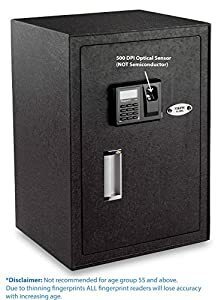 On a personal note, this Sentry Safe is a really good compact model. Extremely strong and the digital code combined with lock adds that extra punch of security. The warning alarm is a great little gadget to have and has been tested and proven to work. This is a plush Chinese home safe designed for securing jewelry, coins (coin box included) and general items. The locking mechanism uses 4 AA batteries and has an easy code programming system. The safe case is made of 25ENC Steel. This is a double door safe, which means its really two safes in one body. Both doors require a separate code to unlock them, making it useful for shops where you want the employee to have access to general storage, keeping your true valuables in the primary storage unit. The Viking is a standard home security safe providing ample security in a well-designed unit. This safe use both a biometric fingerprint and code keypad for double security measures. The locking system uses a biometric fingerprint reader together with a digital LCD keypad. The unit has an upgrade 500 DPI optical sensor, and the PIN code includes 4-8 programmable numbers. There are a motorized deadbolt and a 2 pry resistant insertion slots that work together with the locking mechanism. The coding unit can store up to 32 fingerprints and 1 PIN code. The memory is secure even while replacing batteries. 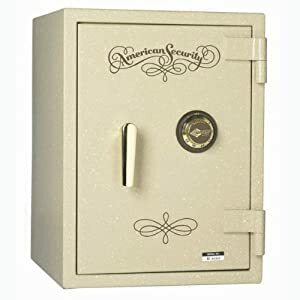 The safe comes with 4 pre-drilled anchor holes with anchor bolts, and the electronic locking device requires 4 AA batteries. (Included) The safe door thickness is 5 mm, and the body is 3 mm. The interior of this safe comes with LED lighting, key hooks, and adjustable shelves. On a personal note, this safe is a medium security safe with a maximum-security mechanism. The fact that it has a biometric fingerprint reader combined with a small two bar lock is confusing. However, it does provide personalized access which is great. This a really good unit for homeowners and home businesses. 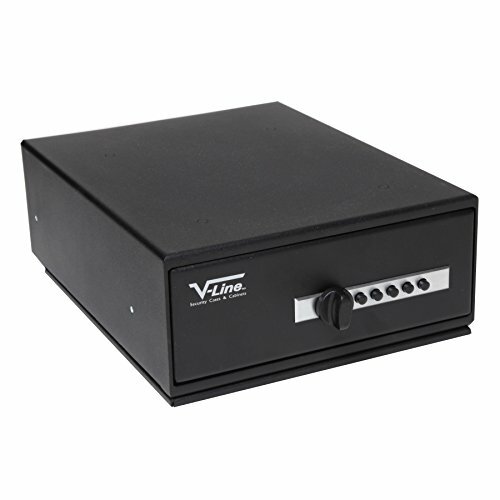 V-Line produced some of the best gun and concealed safes you can find. This is their slide away model and is made of 12ga steel. The drawer pulls out smoothly and sits on ball bearings. The compartments can hold a tablet or two 1911 type firearms and magazines. 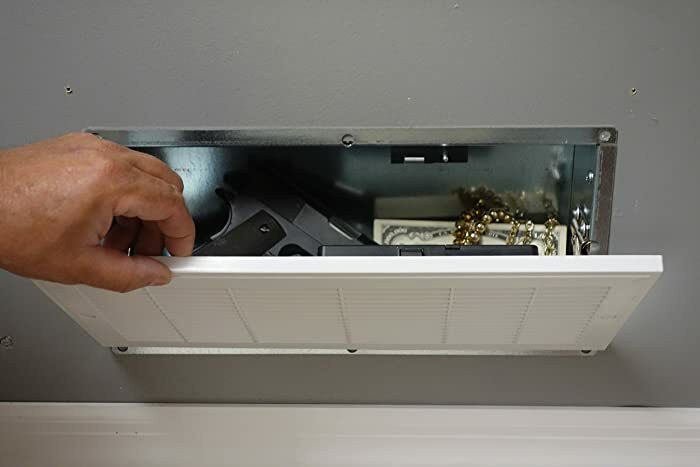 This safe can be attached under or in a drawer, making it a perfectly concealed unit. The opening mechanism includes a quick release mounting bracket and can be placed in either top or under position. The lock is a standard pushbutton mechanical system. On a personal note, all I can say about V-Line is, great and wow. These are amazing safes for a specific purpose, to store your handguns. Don’t even bother to look beyond this brand, they are the best in the market. The Stealth dorm safe is a vertical unit for storage in lockers and cupboards or under tables. It is designed for small locations but is versatile and secure. This unit comes with securing holes in the bottom and a battery replacement unit from outside the safe. On a personal note, this is a great stand-up unit for students as well as people who live in tight spaces. This is a standard hotel type safe with a programmable electronic lock and a shelf. This unit provides ample protection for most valuables, and the unit runs on 4 x AA-Size 1.5V batteries. The safe comes with 4 pre-drilled mounting holes. The code is a 3-8 programmed PIN digits and has a 3-attempt time-out. It comes with an override key (press 159 and then A or B). This safe is made of 2mm steel, and the door is made of 4 mm thick steel. This is another great V-Line product, and if you are looking for quality, then don’t look further. I have one of these strong boxes in my office, and it’s a wonderful feeling to have this unit. This safe is constructed out of 10ga steel and has the V-line classic anti-pry clamshell design. The handle is a 12 ga. steel unit that also incorporates anti prying tech. The locking mechanism is a SIMPLEX mechanical push button lock, and it comes with a gas assisted opening strut. The safe comes with 4 x ¼” anchor holes ready for mounting. On a personal note, another V-Line winner, and I already wrote that I have one, well I do, and so should you. This is one of V-Lines most popular models and is a steal (pardon the pun, intended). This safe has front opening secured with a slide-out felt-lined drawer. The unit comes with the V-Line MB2912 quick release mounting bracket and makes for easy hidden installation anywhere. The lock uses a 3/8” steel lock block that is welded for extra strength. This unit does not use batteries, it is mechanical and integrates anti-pry technology. The hinge is continuous and is welded on one end which prevents pin tampering. On a personal note, there is never a thing as too much V-Line, the more, the merrier and this one packs their usual punch of quality, security, and good concealment. 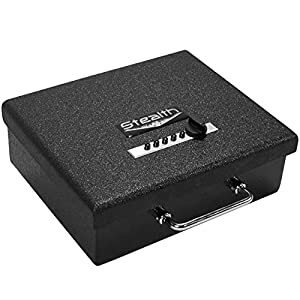 This is a classic strong box safe and comes with all the features and quality you would expect from Stealth. The locking mechanism is the standard simplex lock that gives 1,081 combinations. The body is made of 10 ga. steel and the door are 3/16” wrap around steel with 2 x 3/8” steel lugs. The unit includes two steel dead bars and a continuous welded hinge for pry proofing. The lock is punch resistant, and it comes with 4 pre-drilled anchor holes ready for mounting. On a personal note, this is a very basic strong box type safe, very good for home or office use when concealment is not an issue. This is Honeywell Safe’s classic large deposit safe, used for elections as well as for storing incoming cash. This safe uses a digital lock with LED display, and the mechanism is powered by 4 AA batteries. The locking mechanism has 2 steel bolts, concealed hinges, and a recessed door. The door bolts are motorized and a 3-6-digit programmable code. Before you go out and buy a safe, ask the following questions, these questions will guide to which safe is best for your purposes. 1. 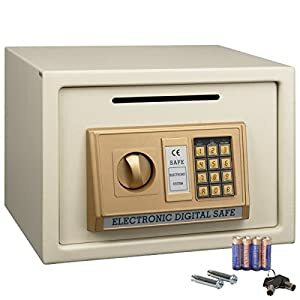 What am I going to store in the safe? 2. How big must it be? 3. Where will I install it? 4. Is it for my home or my business? 5. Who will have access to it? 6. Should it have a “Posting” slot? 7. Should I include a lockable compartment in it? 8. How frequently will I access it? 9. Do I have other security measures? 10. Who will maintain and service it? 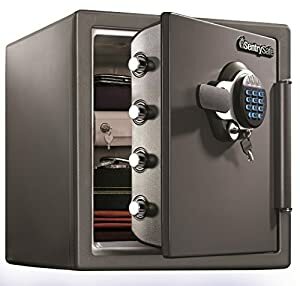 What am I going to store in the safe? This is not such a simple question as it seems at face value. There are many items that can be stored in a safe, ranging from valuable jewelry, bank notes, gold coins, and other expensive commodities. There are documents of various kinds ranging from contracts to wills, photos, and checkbooks. There are medium storage devices and electronics, and there are personal items that might not have a market value, but to their owner are priceless. Each type of item can be stored by itself or in combination, and therefore the choice of safe must take into consideration the most vulnerable items as the basis for protection type and the most expensive items for the safe type. If possible, don’t combine too many items in the same safe. If you need to access your safe on a regular basis, then you might need to split the safe into two units. I will present this option further down. The safe size depends on how much content you want to place in it at any given moment. Therefore, take a moment to think of all the items you want to place in your safe, and what will happen when everything is in it. Calculating the maximum space will require you to add an inch on either side of your calculation, so you have space to rummage around, and not stuff your safe till its hard to close it. Location, location, location. This is important for safes too. If you are a business, then you will locate your safe in a secure office. If your safe is at home, you have many options to choose from. This boils down to what the purpose of your safe is, business or home. Wherever you decide to install it, you must take into consideration all the environmental issues, such as fire, flood and crime rates. Only install a safe that will meet any environmental danger, otherwise hide it won’t help if there is a fire or a flood. Is it for my home or my business? A great question that determines the type of safe you should install. If your business is at home, you will still need to consider who will have access to it apart from yourself. 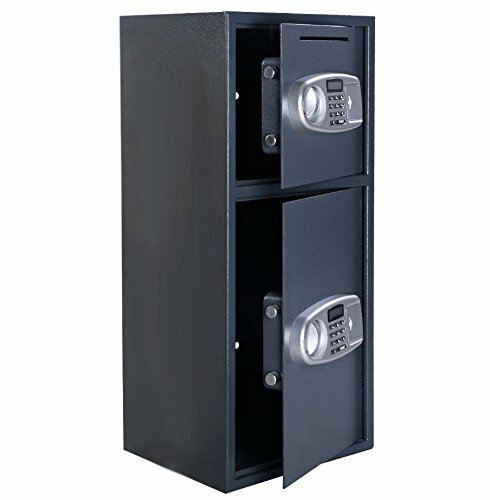 If the safe is for business and not home use, then consider getting more than one safe. This question is split between home use and work use. If the safe is at home and is for personal use, then consider who will have access to it from with your family. Also, consider if the safe will contain a weapon of any kind. 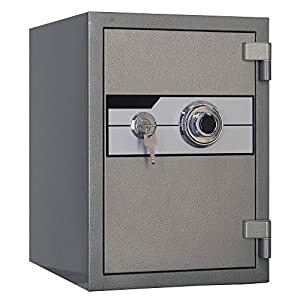 If this is a business safe, and you need to allow employees access to it, consider a double door safe or a safe with a locked compartment so you can segregate special items and documents for your eyes only. Should it have a “posting” slot? Posting slots are access points for cash or documents. You only need a posting slot if you will be using the safe for regular envelope size drop-offs. Should I include a lockable compartment in it? 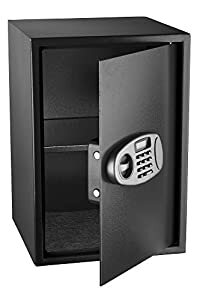 If you have multiple user access to the safe, then a locked compartment is mandatory and essential for you to segregate your special personal items from everyone else. How frequently will I access it? This is an important question to ask, if you are accessing your safe regularly, on a daily basis and even a few times a day, then you don’t want to hide it behind a picture on the wall. If the safe is for in-frequent use, maybe once a week or less, then a hidden safe is your best choice. Do I have other security measures? 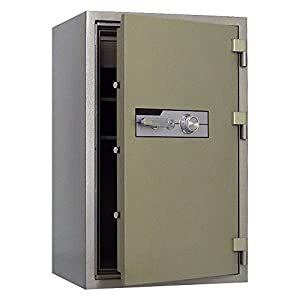 A safe is great for securing items from theft and other problems such as fire. However, it is not the only security solution you should consider. If you need a safe, you must install a practical security system to assure that any attacks will have to go through alarm systems. At home, install a proper motion detector unit in the room and have an automated video recorder when the motion detector is activated. 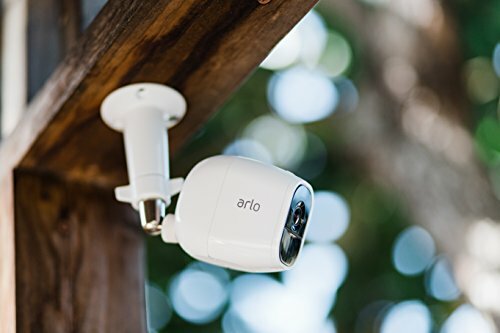 In a business, you will want a CCTV system installed. All security systems must have silent security alert options. Who will maintain and service it? Maintenance is a byproduct of quality and usage. It is also a byproduct of initial installation. I stress that if you need a safe, you should consider getting a professional locksmith to install it. The same locksmith can be your maintenance service provider if you ever (hope not) need service.